Welcome Wednesdays - we host informational tours most Wednesdays from 9:30 a.m.-10:30 a.m. in the months of October through April. Shadow Days - an opportunity for prospective students to meet other students, our faculty and staff, and to experience firsthand what it means to be an RSPS Panther. Please check our school calendar to confirm dates that we are in session. 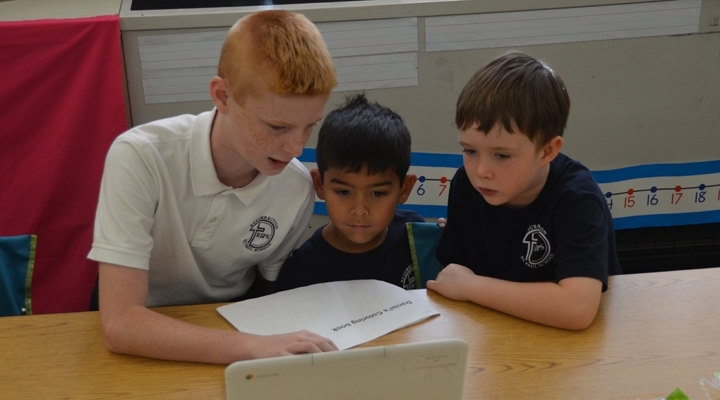 To request more information about Resurrection-St. Paul School, please inquire today or contact our Advancement Director Mrs. Stephanie Finamore at 410-461-9111 ext. 242 or sfinamore@resstpaul.org.